The moment I saw the rooster and hen images at ADFD I knew that I wanted to use one of them. I grew up on a farm and at times had the responsibility of gathering eggs from the hen house. I enjoyed getting the eggs, that is...until the ROOSTER would start chasing and pecking me to get away from his harem. Despite his meanness, I always enjoyed his beautiful colors especially the turquoise feathers. I think I will make peace with the family rooster! So in honor of my favorite rooster I decided to create this card! And then I decided to do a second one. I love the fun sketch that Sally created for us to use at SSW2. It was quick and easy to put together. This is the inside of my cards! Well, as you can tell. 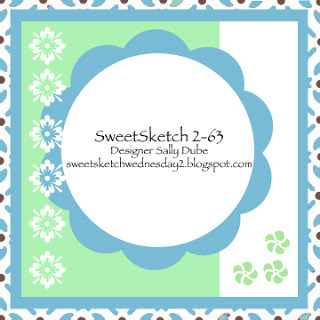 A Day for Daisies is our sponsor this week at Sweet Sketch Wednesday 2! Tammy is an incredibly unique artist. I love her work. I'm sure you will love looking around her store. I know you will want more than one image....so why not play along with us this week. You could be our lucky Grand Prize Winner at SSW2 and win 12 free digis from ADFD. So start creating and have some fun! Check out all the rules at SSW2! This is the sketch for this week's challenge! Jeannie at Dragonfly Journeys also has a sweet color challenge this week. I added my rooster to her challenge. Each Sunday Jeannie has a new challenge. I hope you will check it out and play along too! Jeannie is a former SSW DT. 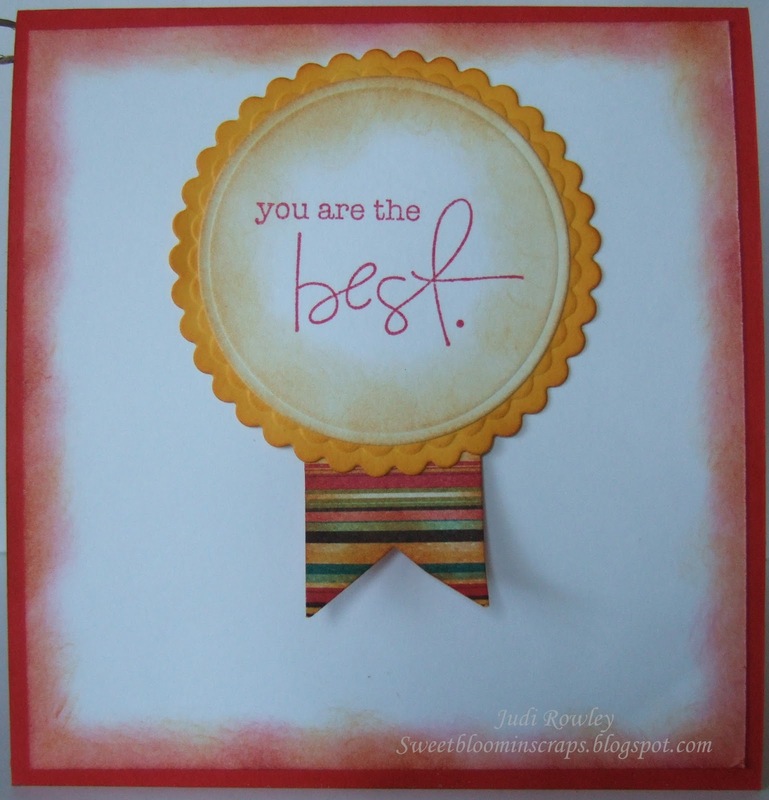 She makes gorgeous cards...You will love her creations too! Thanks for stopping by. I always love your comments! Oh Judi I love your cards and your story about the rooster on the farm. I grew up on a farm as well, I was terrified when I saw the geese as the male one would chase me a peck my bum. I love looking at chickens, roosters, ducks and geese but I hate feathers or anything flying around me. See I never use feather embellishments on my cards. I hate touching feathers and if a bird comes in the house I'll have a nervous breakdown and I would shut it in a room and go into another until William gets home and gets the bird out the house. I hate moths flying around me as well. Sad but true... Such pretty cards this week Judi and I adore your creativity with your embellishments and colours and it's so lovely to have you back with us again. Hope all is well with you? Love your story as much as I love your cards!!! 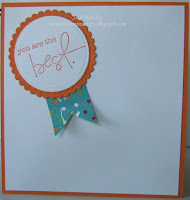 Fabulous idea using the banner as your embellishment. Awesome colors and papers. Great card! Your colouriing of the rooster is perfect! Thanks for joining us for challenge #127 - Add a Feather at A Day for Daisies. Please join us again soon. Hi Judi! I was so pleased to see that you joined me this week with these very handsome guys! 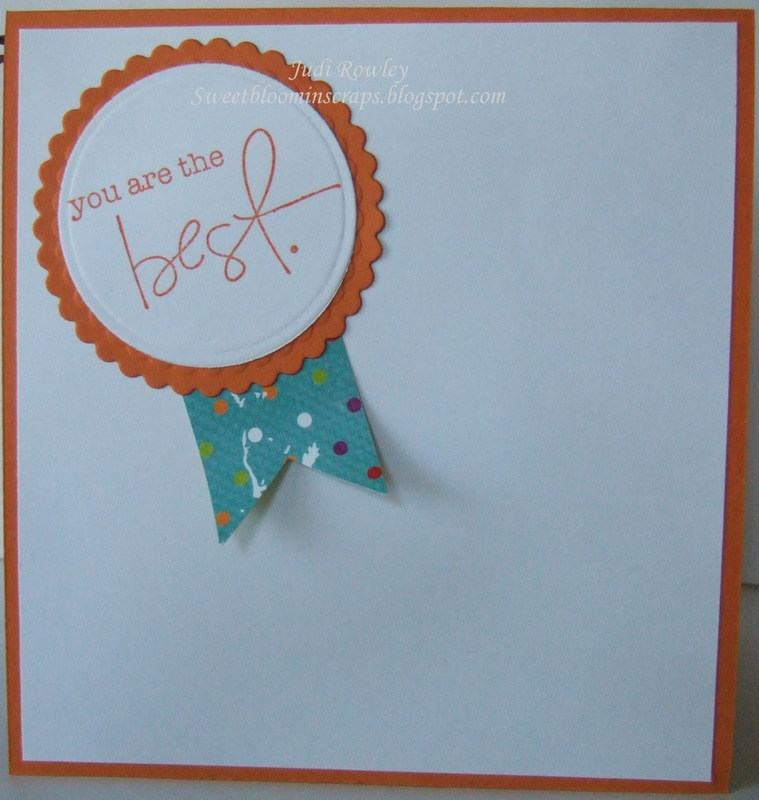 Your coloring is fabulous, and I just adore all of the special embellishments you used. 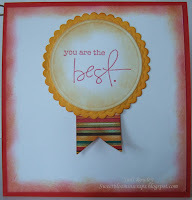 Thank you so very much for your kinds words, and of course for joining in on this Color Inspiration challenge with me. 2 fabulous creations, love these designer papers and your bunting. This image so reminded me of my mother who in her later years took up lacemaking and one of the projects she made was a picture of a rooster so thanks for the memory. I don't know what I enjoyed more, your story or your gorgeous cards. I am in LOVE with the turquoise in his tail! Simply fabulous work this week Judi!